Chloe Hughes has been writing about world cuisine since 2006. Her articles on classic and exotic foods, cooking classes, wine tastings, local restaurants and high-end gastronomy have been featured in regional magazines and on lifestyle websites. 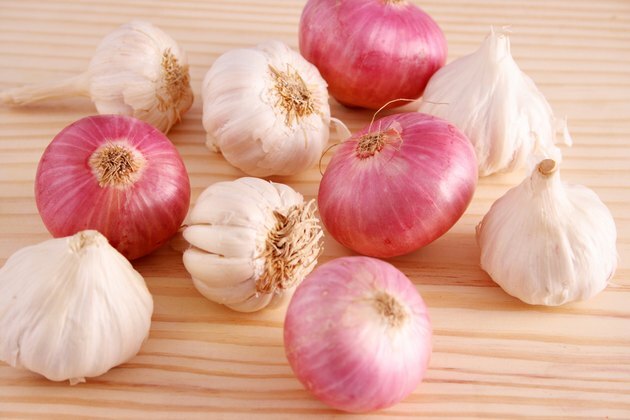 Nutrition experts concur in recommending eating garlic and onion in their raw forms to reap the greatest health benefits. Best practice consists of chopping or crushing garlic and onion 5 to 15 minutes prior to eating, as rupturing the cell structure releases chemical components and allows them to mix and form new phytonutrients. “The stronger the smell, the better for your health,” says “The Right Nutrition Plan.” World cuisine, from salads and sauces to soups and main courses, is a great source of inspiration for ways to eat raw garlic and onions. Salads are an obvious choice when it comes to finding occasions to eat raw garlic and onions. But beyond adding chopped onion to every salad and pressed garlic to all dressings, some recipes make the most of them as core ingredients. 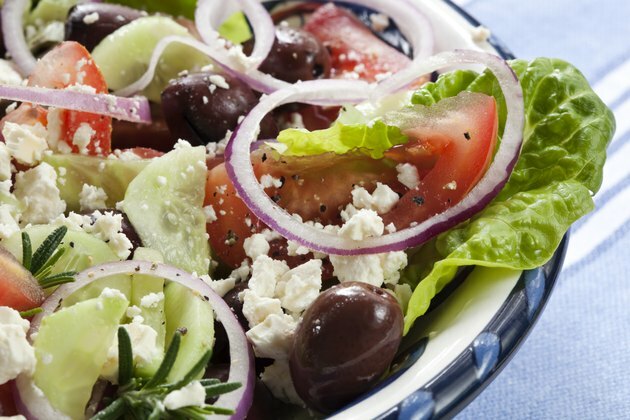 For instance, a classic Greek salad features sliced red onion alongside vegetables, feta and olives. Cuban salads revolve around sliced avocado and onion, which can be enhanced with chunks of pineapple and fresh orange juice or cilantro and lime juice. In Southern France, tuna and onion salad doused in garlic vinaigrette served in a baguette is known as a pan bagnat sandwich. Some raw soups are made to be eaten cold, while others can be warmed up -- without cooking -- before eating. 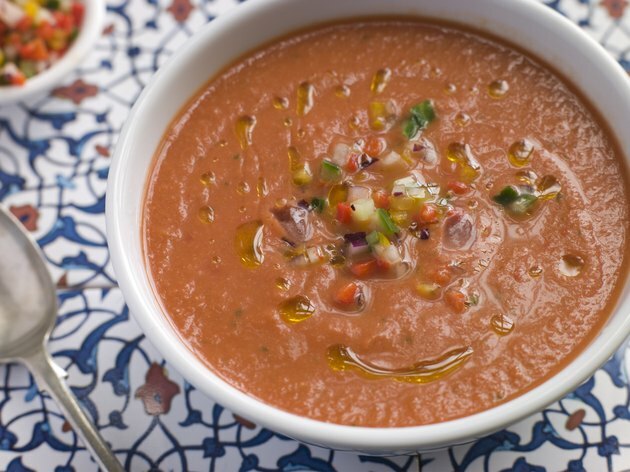 The refreshing gazpacho contains both onion and garlic, blended coarsely with tomatoes, cucumbers or zucchini, bell peppers, herbs and seasonings; try it with balsamic vinegar for a deeper layer of flavor. The same concept of blending raw vegetables can be applied to other compositions, including some that are better eaten warm: garlic, yellow onion, mushrooms and nut milk or avocado and water make a luscious raw soup. For a heartier alternative, stir raw onion or chives into a cooked leek and potato soup. Chopped onion, spring onion or chives can be sprinkled on soups for decoration and nutrition. Sauces and dips are a great way to eat raw alliums. 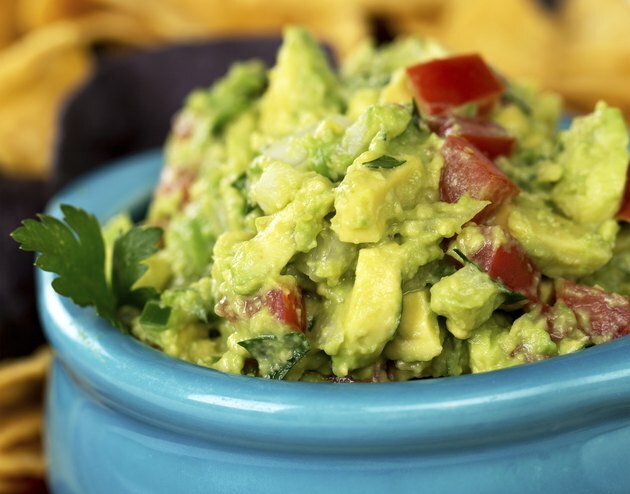 Guacamole combines avocado and onion blended into a chunky dip. Aioli is a pungent French mayonnaise that gives pride of place to raw garlic. Middle Eastern dips also rely on raw garlic, along with sesame paste and lemon juice to make tahini and chickpeas to make hummus. Thai dipping sauces use red onion and garlic together with fish sauce, lime juice, sugar and fresh chili, sometimes complemented by fresh ginger. Stirring raw garlic or onions into cooked main courses is a clever way to add these ingredients to an everyday diet. Add them to tomato or Bolognese pasta sauce, to mashed potatoes and pumpkins or to cooked quinoa or millet. 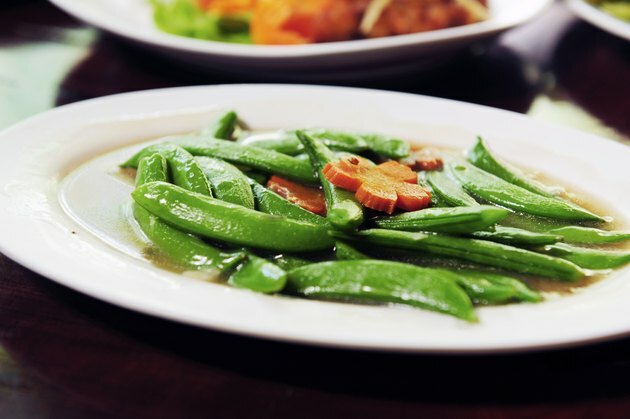 Finely chopped garlic and onion added after cooking provide an extra kick to creamed spinach or sautéed green beans. The same can be said about green onion and garlic added to a fish and Mediterranean vegetables “papillote” after baking in parchment paper. Can I Eat Prosciutto Ham Without Cooking It?